Crash at Euclid Avenue and Belmont Avenue. Arlington Heights police and firefighter/paramedics responded about 5:45 p.m. Friday to a T-bone crash at Belmont and Euclid Avenue. Apparently a driver of a Hyundai was pulling out after stopping at a stop sign into backed-up traffic from southbound Belmont Avenue. An eastbound Chrysler sedan crashed into the Hyundai. The Chrysler went off the parkway and hit a tree. Paramedics checked both drivers. Apparently minor injuries. The Hyundai’s side passenger airbags deployed. The cross streets along Euclid Avenue are difficult to cross during rush hour. 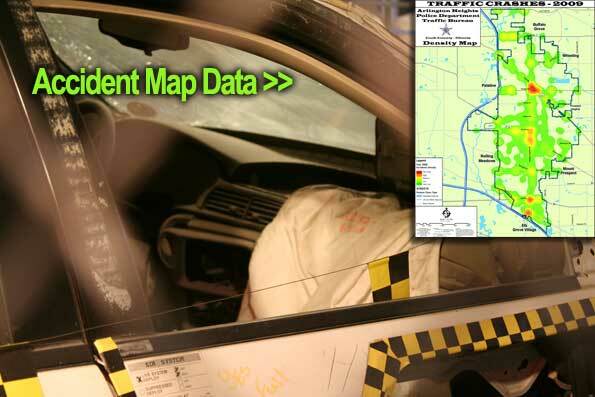 Click the graphic to access the accident map data for the Village of Arlington Heights.